Leadership is a choice, not a position. It doesn’t matter if you’re a senior in high school, a senior in college, or a senior citizen organizing a blood drive. Leadership behavior is a choice. As such, leadership begins with your intentions. Why are you leading? This question is relevant whether you’re new or experienced, whether it is about situational leadership or the process of leading teammates. Today, we know there is no one correct way to lead. However, it is necessary to account for two possible leadership pathways that are derived from one’s mindset. Your answer to this question will come from either a “self” orientation or an “other” orientation. That is, a self-oriented leader will answer the question differently than does the other-oriented leader. So start by answering this vital question. Probe deeply. Why answer this question? Clarity. Clarity will focus your energy and emotion. Clarity will provide you with the conviction to take action—to lead. As you know, actions have consequences. Your orientation to leading is significant. That’s because how you think drives the leadership actions you take. Those with a self-orientation come to view people as a means to an end. Subsequently, decisions and actions taken from the self perspective will be self-serving and likely lead to sub-optimal results. You certainly can do some good when leading from a self-orientation. But in the end, it’s about you and how your actions—or inactions—benefit you. However, if you lead from an “other” orientation, a relational perspective, and are committed to serving your teammates, the results you produce will be dramatically different. So, which leadership orientation you choose matters. 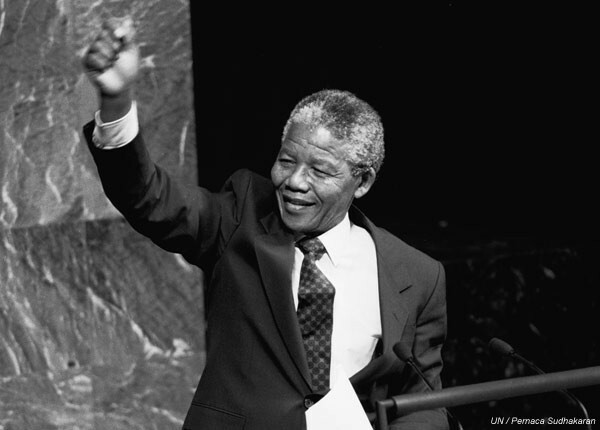 Nelson Mandela was a revolutionary anti-apartheid activist in South Africa in the 1950s. He was jailed for 27 years, assigned hard labor in prison. He was released from prison in 1990. He went on to win the Nobel Peace Prize and was elected the first Black president of South Africa in 1994. It’s not difficult to see ample evidence of how Mandela answered this vital question in every step he took challenging and ultimately changing a social system. Leadership to Mandela is a relational process of people together attempting to accomplish change or to make a difference to benefit the common good. Such leadership is based on a commitment to shared purposes, a desire to cause real change. Leaders and followers are enriched in terms of what they can accomplish through the quality of relationships they develop with each other. The end goal of a relational orientation is for all involved to grow and raise each other to higher ethical aspirations and conduct. Leadership isn’t about you; it’s about the followers. It’s about the purpose of the organization. It’s about your community. It’s about society. So, why are you leading? The best way to start your leadership journey is to answer this question, and to do so frequently. Effective leadership drives every aspect of a team’s performance. High performing teams have a wide range of players and coaches leading in different situations, at different times, and at different levels. The ultimate goal of leadership is to improve the team, the learning experience, and results for the participants. Leadership development is no longer merely “skill development” combined with experience. Today’s outstanding team leaders are those that are constantly growing and transforming—themselves and others. Here are seven simple truths that will guide you along your path to becoming a transformational team leader. The best way to create extraordinary results in the most important areas of your leadership is through daily practice. As a leader you are called to action. To become a better leader requires spending time identifying and doing deliberate acts of leadership. The Academy for Sport Leadership suggests success is found by deliberately acting to build the right relationships with your teammates, guiding others with influence, and initiating change. Change must be initiated daily, inspiring shared behavior, and focusing intentional behaviors—both yours and your teammates. The truth is, deliberate acts of leadership accumulate and over time make a significant difference. Small steps over time generate big results. Replacing the old way of doing things with the new does not happen at the touch of a button. At the end of the day take a quick quiz: How many leadership acts did I let go by? The habit of critical self-reflection requires a deep conviction to becoming a better leader. It’s not easy to admit to the things you didn’t do, that you could have, or should have done. Perseverance even when the pain seems unbearable will lead to enormous benefits. Acknowledge neglected acts of leadership. Learn from them. The truth is, like deliberate acts of leadership, the neglected acts of leadership accumulate and over time make a significant difference—in a negative direction. Years ago it was believed that no human being could ever break the four-minute mile. But after Roger Bannister broke through this barrier once thought to be impossible, many runners produced sub-4 minutes within weeks. Why? The truth is, that the “miracle mile” was a mental barrier rather than a physical barrier. What’s your four-minute mile? What mental barrier is preventing you from becoming a high-performing team leader? Create a deliberate plan to break through your four-minute mile. It only takes one minute to go the extra mile. Leadership is about relationships. It’s about building stronger bonds between you and your teammates. The stronger your relationships, the stronger the results. The truth is, the deeper your relationships with teammates, the stronger your leadership. Your attention, please! Your attention—and that of your teammates—is a vital resource to the success of your team. Twitter, Facebook, I-Pod, the Internet… The truth is, more and more of your attention and that of your teammates is consumed by gizmos and gadgets. The onslaught of media messages simply clutter our minds and consume much of our energy. To become a dynamic team leader you need to manage your attention span and use your leadership power to hold your teammates' attention too. The truth is you’ll live a better life if you detach from the noise and give your attention to those things that will lead you to success. This post is adapted from an interview I did with Steve Jamison in 2010. March Madness is a time when team greatness is revealed. It is also a time when the best baseball players in the world go back to work—fine-tuning the fundamentals of their game. College basketball’s greatest coach was a tour de force for principled leadership and success. Great teams and fundamentals are of vital importance no matter what your endeavor, no matter what time of year. Do you need proof that leadership is not about style? 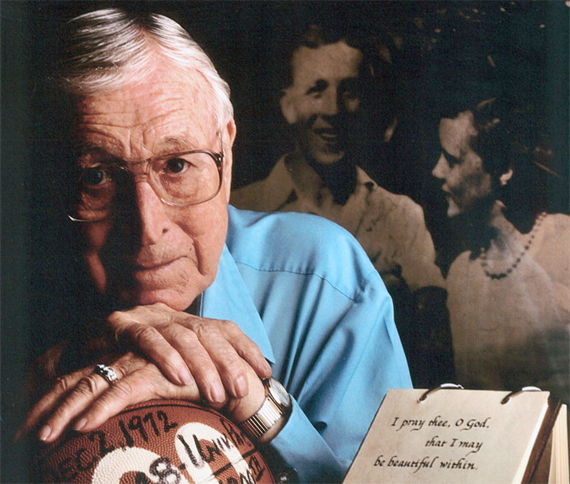 The legendary UCLA basketball coach John Wooden suggests that leadership is influence derived from one’s character. For Wooden, the ideal leader is someone whose life and character motivate people to follow. The best kind of leadership derives its capacity from the force of example, not from the power of position or personality. Much of what passes as leadership today is nothing more than manipulation of people by sticks and carrots—threats and rewards. That’s not effective leadership for the long-term. Authentic leadership seeks to motivate people from the inside, by an appeal to the head and the heart, not by use of command and coercion. Compliance seldom, if ever, leads to authentic commitment. Wooden influenced players through his character which he displayed in everything he did, from the way he recruited student-athletes to the way he taught them to put their socks on. For Wooden character is the essential element necessary for great leadership. spent fifteen years working with Wooden on various books on leadership. He teaches Wooden’s principles to business leaders at UCLA’s Anderson School of Management. Ahh, how we love the splendid tale of the breakout star and oh how the world of sports never fails to deliver that "from nowhere to somewhere" story. We are now just a week removed from the New York Football Giants Super Bowl XLVI win over the New England Patriots and the GMEN's incredible run (reminiscent of their 2007 Championship run) through the NFL playoffs. Just a few months ago, the St. Louis Cardinals made that same improbable run in baseball, winning when it counted and backing into the playoffs on the final day of the season, only to continue their white hot streak throughout the playoffs and end up with a World Series title. And just two years ago, we saw now Carolina Panthers' quarterback Cam Newton and his then Auburn Tigers do the same thing in college football. What do these teams have in common? They were "All In." Literally. If you listen to the pundits (which I don't), you would have counted both of these teams out. "Never had a chance. No way. Look at them on paper. They'll never do it." Sure about that? As ESPN's Chris Berman puts it, "THAT'S why they play the game." Championships are not won on paper. They are not handed out. A team has to earn them. And top-flight draft picks and big money signings do not guarantee wins. At every level championships are won by players who have the ability to come together as a unit, and the best team—and that doesn't always mean the team with the best athletes. Let's take the past year in sports. 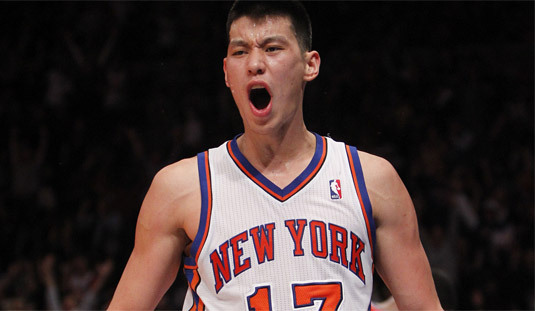 We saw the emergence of "overnight sensations" David Freese of the St. Louis Cardinals, Victor Cruz of the New York Giants, the Denver Broncos' Tim Tebow, and now the sports world finds itself captivated by the seemingly "shot out of a cannon" success of former Harvard standout and now New York Knicks' sensation, Jeremy Lin. (Granted, Tebow had a decorated career at the University of Florida with Heisman Trophy and a National Championship among his many accolades, but he continues to overcome the doubters and skeptics who said he "isn't, can't be, won't be" successful as an NFL quarterback). Cam Newton? Well he just shut all of his doubters up, didn't he? Athletes like this contribute greatly to the philosophical mindset that the unit, the team, the men or women in the locker room—is stronger than the individual athlete—and together the team can accomplish great things. Imagine a world where all your friends, teammates, family members, educators, coaches, and those you encountered on a daily basis took full responsibility for their actions. In this imaginary world everyone you interacted with did what they said they would do. And people approached interpersonal interactions with a perspective of looking beyond personal goals to consider those of the team or the community. Trouble is, when it comes to answering for one’s word, many people see little value in honoring their word. Accountability entails taking ownership of one’s actions (which includes promises and commitments) or the expectation of one’s taking action and the consequences that arise from the action or inaction. By failing to honor our word we signal to others that we are unreliable and unpredictable. The problem is that we live in an era where the definition of accountability has become murky and, for the most part, open to one’s personal definition and situational interpretation. We often encounter issues of “accountability” within emotionally-charged interactions that involve blame, divisiveness, and hostility. Quality interpersonal relationships are essential to any cohesive team. And nothing destroys quality relationships more than losing confidence in the authenticity of someone’s promise or commitment. The First Principle of Leadership is to simply Do What You Say You Will Do. Leadership accountability requires a level of ownership that involves making, keeping, and answering for personal commitments. Simply put, when you hold yourself accountable, those around you know you can be counted on to complete your responsibilities or follow through on your promises. When you do what you say you will do you build credibility. The world has changed. The pace and scope of change in the past ten years has been unprecedented. To succeed in our ever-changing world we need to find new leaders and new ways to lead. The challenges and opportunities we face are huge. To deal with these challenges we need people with diverse skills and perspectives to become leaders. In short, today everyone needs to be a leader. Tim Tebow has captured the attention of the world. He has done so, because he exemplifies the leader many want to model. He has a mission and that mission gives him power to realize his full potential. And Tebow’s leadership comes at a time when Americans have issued a wake-up call to the coercive command and control transactional leaders that a massive shift in the balance of power is underway. Tebow’s leadership exemplifies the three dimensions of leadership necessary in this new world order. The industrial model of leadership has been dismantled brick by brick. We are now in a world that revolves more around sharing of information and the creation of knowledge than one shaped by making and selling things. Education too has seen a change in tools and tactics for educating its customers. The three dimensions of leadership that participants in the new world order need to be a high-performing leader are self-leadership, leading of others and leading with others. The ability to lead with others is much more complex than the order-giver, order-taker foundation of the industrial age transactional leader. Tebow is first a leader of self. The best leaders have deep self-knowledge and are willing to commit to higher standards. His standards are higher than any that anyone else could place upon him. Tebow displays his commitment to self-leadership by demonstrating consistency between his words and actions. As his teammates will tell you “he walks his talk.” Receiver Eddie Royal says, “there’s nothing fake about Tim Tebow. He represents the game of football the right way, by his play, by his emotion, by his enthusiasm. He's the perfect example of the type of guy that you want to be off the field." It’s obvious that Tebow, unlike many leaders we used to consider to be role models, pays constant attention to ethics, integrity, and values. This is responsible leadership. Tebow’s excellence in self-leadership also includes taking the time to reflect, to learn from his and others thoughts, feelings, and actions. He’s forever drawing out lessons from his own experiences and thinking deeply about how his actions affect others. The second dimension of leadership is leading others. 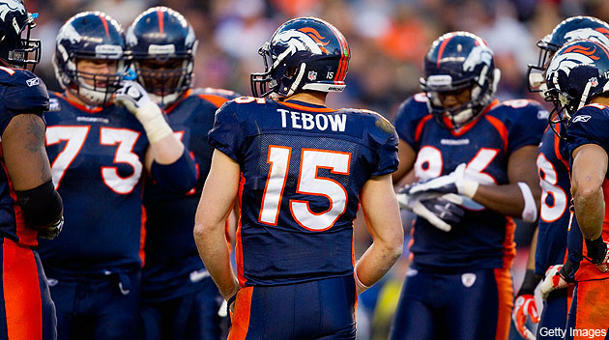 To Tebow leadership is a verb. It’s about taking action. It’s about inspiring his teammates (and the rest of the world) to come along with him. Tebow understands responsible leadership involves developing one’s social and emotional intelligence. He’s fully aware that what he says and does matters to those around him. The final dimension of leadership is leading with others. The new world order demands this advanced type of leadership. Many student-athletes, most students for that matter, aren’t prepared to lead with others—a distributed leadership model that companies like Google and Facebook employ. Tebow takes the time to build relationships and connect with his teammates so they believe in what he is trying to do—and so they believe in him. It’s clear that Tebow utilizes trust as the foundation for building relationships. His leadership resonates with his teammates because of his trustworthiness. Trust in Tebow stems from the selfless way he uses his energies and abilities for the purposes of the team. He understands that one of the most important ways to wield influence is to share it. This is because no single individual has all the answers or can make all the decisions. He’s comfortable leading with others and cares to create a team environment that sparks passion and leads to high performance. This happens because he’s genuine and authentic—his teammates want to lead with him. Many student-athletes don’t see themselves as leaders. This happens because from the time we begin to walk what we’ve been taught—that leadership and authority go hand in hand with certain roles. Our models are our parents, the school principal, teacher, or coach. Certainly these roles require leadership—and our followership. It’s simply that for most of us this becomes a process in which we’ve grown comfortable watching “others” lead. What’s different today is everyone needs to be a leader. And what Tim Tebow illuminates so brightly is the fact that being a leader is not something that happens later. Every day the opportunity to lead stands before you. You must learn to lead and engage in leadership now. Every student-athlete needs to think this way. With the NBA lockout in full swing, many of the behind the scenes team executives have a little spare time on their hands. I caught up with Dave Babcock, Director of Player Personnel for the Milwaukee Bucks, and asked a few questions with an angle toward player leadership. Cory Dobbs: Dave, assuming talent is a given, what types of intangibles do you look for when scouting college players and how do those intangibles transfer to the next level of play? Dave Babcock: Coachability, work ethic, character on the floor and off, competitiveness, ability to be a good teammate, self-discipline, unselfishness. Some NBA players can be hard to coach, so when you get a team of coachable guys you have a much better chance for success. Obviously, if you have guys that are willing to work in season and off they will improve at a much faster rate than the more laid back individual. Character is bigger for most teams than people think. For example: we (Bucks) made the playoffs the year before last and brought back the same core for last season. But with the addition of two new players with somewhat lower character, we did not make the playoffs last season. With so much talent in the NBA, to win the extra games you need the competitive players to fight through the long season and tough travel. The season is so long and you spend so much time with your team that it is very important to have guys that can get along! Being self-disciplined is so important with diet, sleep management, time management, and overall life management. Again, you have so many talented star type players in the NBA, that if you can have a group of unselfish guys, it can will you a lot of games. As a student-athlete it’s your choice to become a team leader. Because you are a student, leadership is an educational decision. If you truly desire a leadership role, you’ll need to make a commitment to preparing for the many challenges that will emerge daily. Learning to lead is a physical, intellectual, emotional, and social endeavor that leads to growth and development in leadership knowledge, skills, and abilities. When you choose to become a team leader you will have chosen to achieve your highest aspirations and potential. Those athletes that accept the challenge and learn to become leaders will be rewarded in a variety of ways throughout their life. Becoming a team leader does not mean paying lip service to the role and responsibilities of team leadership. Rather, leadership will require you to exhibit courage, display character, and make a commitment to contributing to your team in this “extra” role. Think back over your experiences as a student-athlete. Ask which individuals truly delivered leadership that significantly impacted the team. In some cases you may have had exceptional team leaders, individuals you thought had a calling to lead. In others, you may have felt the team would have been better off without their leadership. Most student-athletes choose not to become team leaders. They are unwilling to venture outside their comfort zone. These are the ones that say “I lead by example” and leave it at that. However, it will take a bold act of courage for you to engage with your teammates as a peer leader. The essence of team leadership is the act of making a difference. Choose to lead courageously and make a difference.